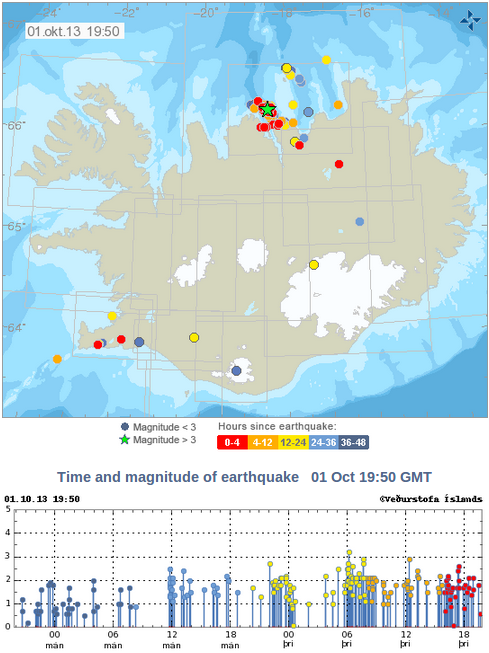 Image above: Map of relative locations, September 25 to October 1, 2013 offshore North Iceland. 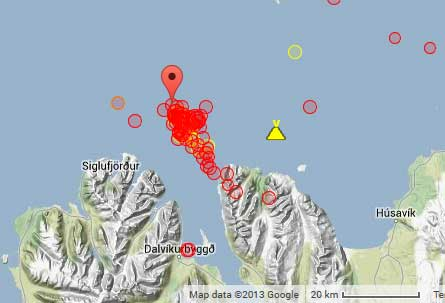 Roughly 1000 earthquakes have been recorded in the swarm. 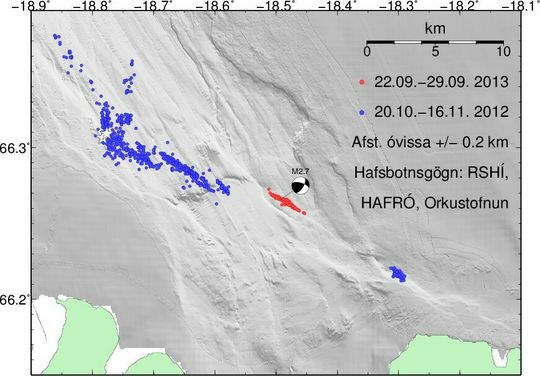 Topography of seabed: Bryndís Brandsdóttir, Institute of Earth Sciences, University of Iceland.